I’ve found that small towns often hold the BIGGEST surprises. 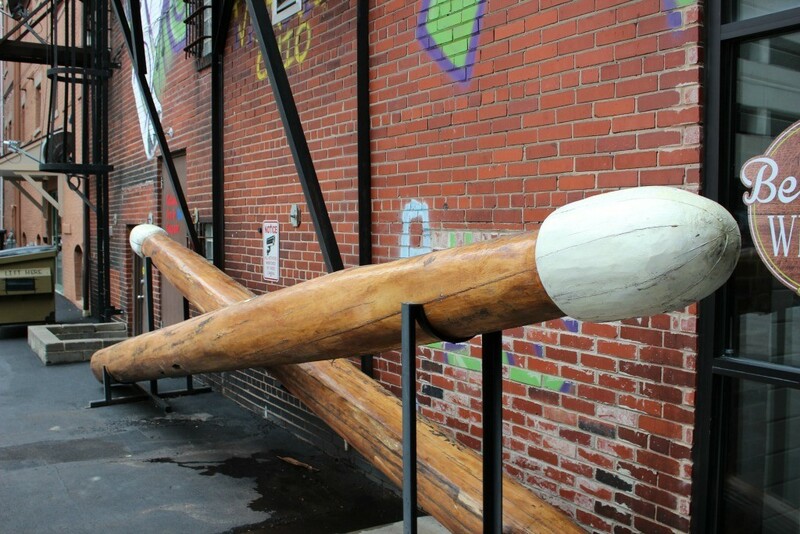 It was no shocker to learn that a small town in Ohio contains not only the world’s largest drumsticks but an entire alley dedicated to the small-town musician-turned-rock-star of two of the most iconic bands of the 21st century. David Grohl, the former drummer for Nirvana and the frontman for the Foo Fighters, was born in Warren. Though he’s not a lifelong resident, he did call the small Northeast Ohio community home before moving from the area as a young child. You can thank the former police officer, Joe O’Grady for the inspiration for the alley and making David Grohl a household name for the people of Warren. His hope was to encourage the young people in the community with the success story of David Grohl. 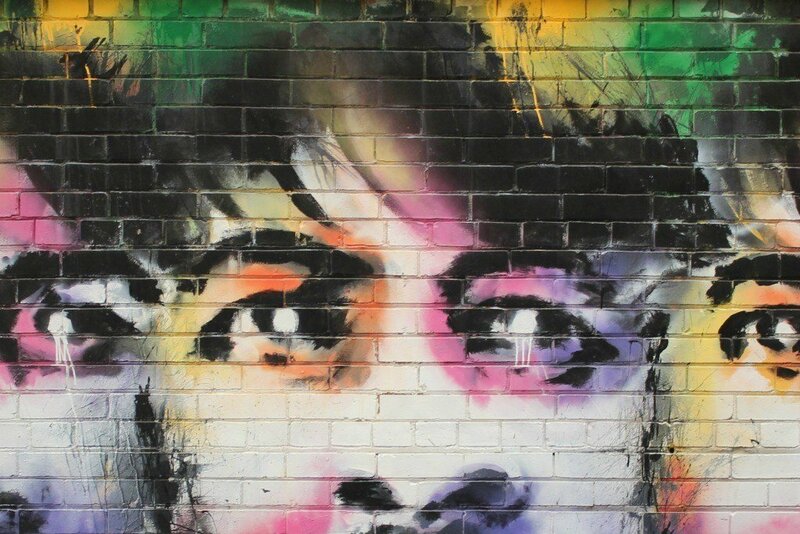 In the process, he managed to clean up a decrepit alley and gave local artists a place to showcase their work to honor the rock idol. The alley was dedicated in 2009 and David Grohl surprised everyone when he showed up for the event. He even took time to join one of the local bands for a few songs in celebration. Where is David Grohl Alley? 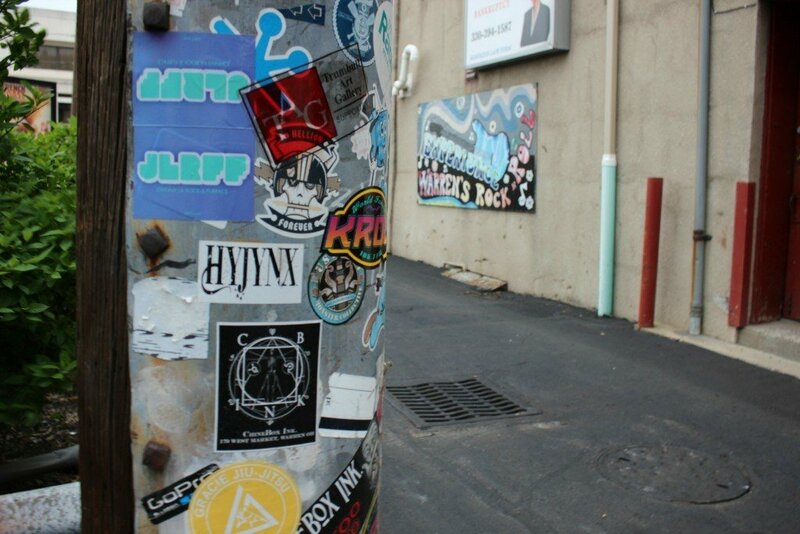 It’s easy to drive past David Grohl Alley, and you’ll miss it if you’re not paying attention. 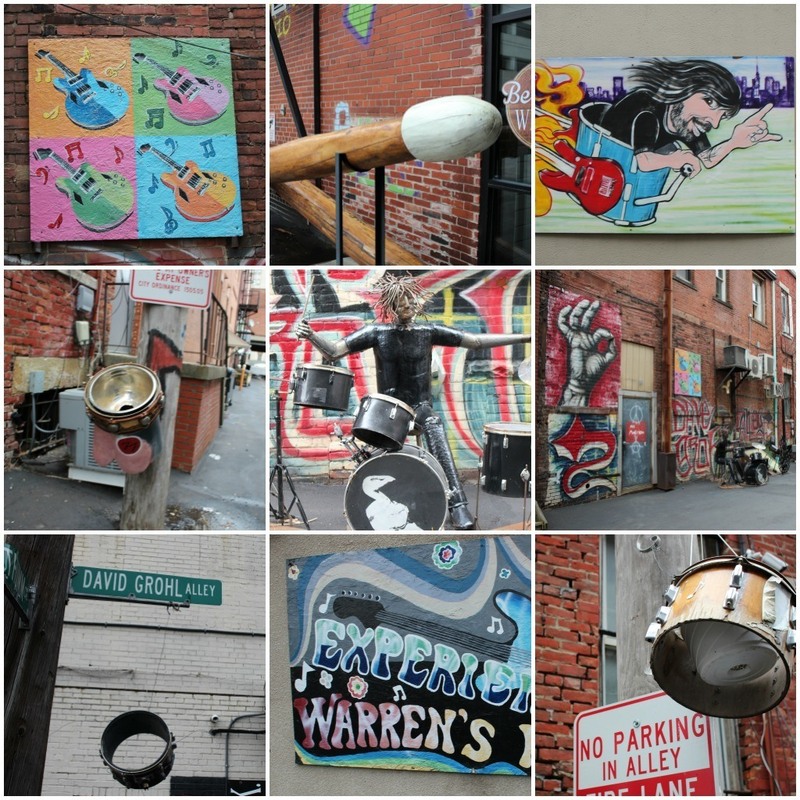 Located next to Burger King, right before you reach downtown, the alley features sculptures and murals created by local artists. 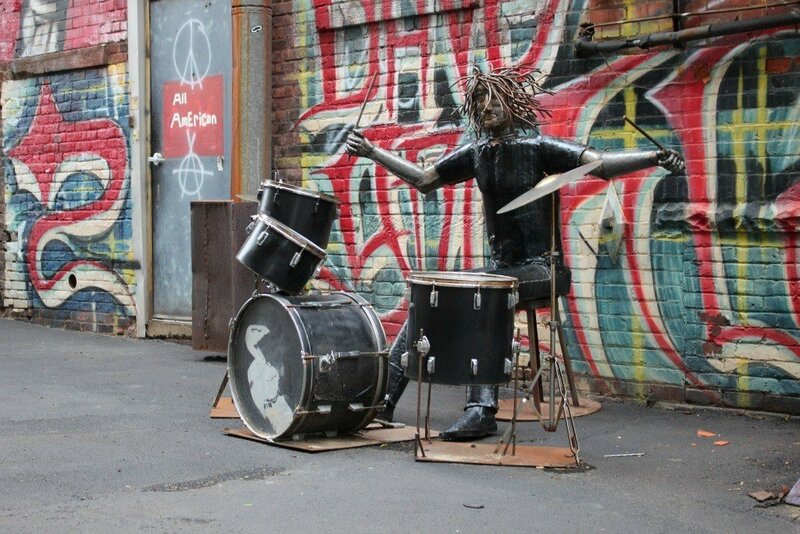 Directions: David Grohl Alley runs between Main Ave SW and S. Park Avenue. Slow down as you approach downtown, the alley is immediately after Burger King on the right and is best explored on foot. 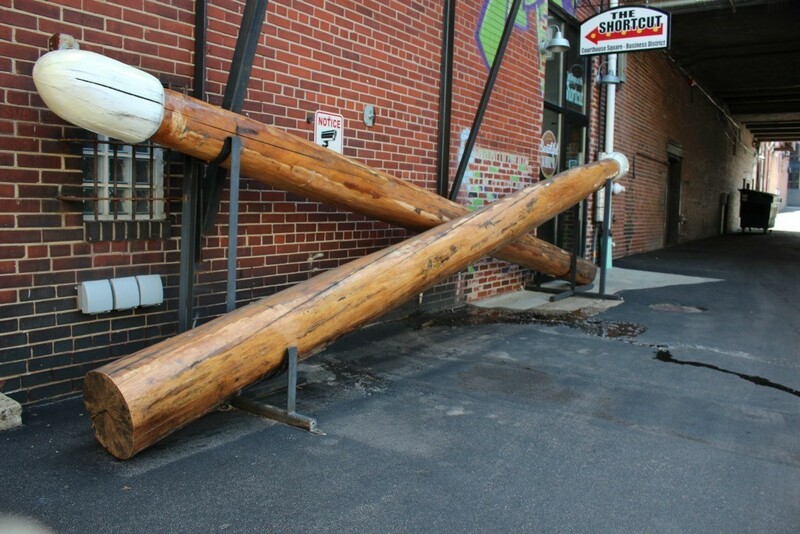 But the focal point, and the main attraction in the alley is a pair of drumsticks, each crafted from a single log that weighs 900 pounds. The world’s largest drumsticks are sought out by roadside attraction enthusiasts and draws visitors to the area daily. Have you seen the Warren Ohio drumsticks?